A Zurich-based law firm (the Zurich firm) and a Zurich-based lawyer (the Zurich lawyer) referred U.S.-related accounts to Lombard Odier with aggregate assets under management of over $63 million. The Zurich lawyer was the accountholder and had signature authority and/or power of attorney over all of the U.S.-related accounts that he referred, and was also a director of the Panama corporation that was the accountholder of one of those accounts. In some instances, the Zurich firm and Zurich lawyer operated in cooperation with a U.S. lawyer in New York, New York. The Zurich firm and Zurich lawyer referred 13 accounts to Lombard Odier that the U.S. lawyer – or that person’s friends or family members – beneficially owned. Credit Suisse personnel also provided advice to DZ Privatbank personnel related to clients’ potential participation in the IRS’s offshore voluntary disclosure programs (OVDP) to DZ Privatbank personnel. For example, in or about April 2011, a DZ Privatbank relationship manager who had learned that some legal advisors were recommending a “quiet OVDP” filing sought the views of a Credit Suisse relationship manager on that topic and was informed it was “really dangerous,” tantamount to “giv[ing] [the customer] the rope (to hang themselves),” and should never be recommended. 1. Julius Baer was one of the category 1 banks under criminal investigation excepted from the opportunity to join the U.S. DOJ Swiss Bank Program, here, as a category 2 bank to achieve a nonprosecution agreement. While analysts said the potential settlement might end the issue for Julius Baer, it remained unclear whether the bank would be forced to plead guilty to criminal charges related to suspected conspiring to aid tax evasion. UBS was required to enter a deferred prosecution agreement; Credit Suisse was required to plead guilty to a conspiracy crime. See Credit Suisse Pleads to One Count of Conspiracy to Aiding and Assisting (Federal Tax Crimes Blog 5/19/14; 5/20/14), here. Since a corporate or other juridical entity can't go to jail, its criminal punishment consists of monetary exactions (such as fines, penalties and restitution) and whatever collateral effects a guilty plea may have. See generally Judge Jed Rakoff Reviews Brandon Garrett's Book on Too Big to Jail: How Prosecutors Compromise with Corporations (Federal Tax Crimes Blog 2/10/15), here. For financial institutions, the collateral effects can be significant if they preclude the financial institution from certain lines of business or otherwise limits or affects their business models. Credit Suisse threaded the needle on that. But I still can't imagine that the U.S. will not require a guilty plea to some crime, just as it did for Credit Suisse. Section 982, here, authorizes the IRS to issue a formal document request ("FDR") for foreign documentation. The consequence of a failure to comply with the FDR is generally that, in a court proceeding, the court must prohibit the taxpayer from introducing the documents within the scope of the FDR. The taxpayer may, however, bring a court proceeding to quash the FDR. The taxpayer may bring a proceeding to quash the formal document request; if the taxpayer brings such a proceeding, the IRS “may seek to compel compliance with such request.” § 982(c)(2)(A). Thus, the taxpayer by moving to quash the FDR can turn the process from merely an evidence preclusion into a compulsory process. On August 27, 2013; May 8, 2014; and September 11, 2014; IRS Revenue Agent Ivan Bahamonde issued Information Document Requests (IDRs) in connection with the examination of Petitioners' tax returns. Declaration of Agent Bahamonde (Bahamonde Decl.) ¶¶ 7, 12, 16; ECF 10-1. Petitioners declined his requests for an interview and production of documents. Id. at ¶ 11, 15, 16. On May 8, 2014, and October 30, 2014, Agent Bahamonde issued summonses to Petitioners and requested the same information contained in the IDRs. Id. at ¶¶ 13, 18. In response to the October 30, 2014 summonses, Petitioners appeared before IRS Revenue Agent Susan Murrell and asserted their Fifth Amendment privilege under the act of production doctrine. Id. at ¶ 20. The IRS did not enforce the summonses and, instead, issued the present FDR on January 26, 2015. Id. at ¶ 21. According to Agent Bahamonde, the IRS has obtained information showing that Petitioners used Portcullis Trustnet Group to set up offshore trusts in order to avoid paying U.S. income tax. Id. at ¶ 4. The FDR seeks documents within the following categories of accounts over which Petitioners had signature or other authority or exercised control: foreign bank accounts; foreign credit, ATM, or charge accounts; foreign brokerage or securities accounts, in any name; foreign entities or structures; and foreign trusts. Id. at ¶ 24. The IRS is investigating: (1) the nature of the funds deposited into the offshore accounts; (2) whether income generated by the accounts was properly reported by Petitioners; (3) what happened to the funds when the offshore accounts were terminated; and (4) whether Petitioners filed the appropriate information returns related to interests in foreign bank accounts and entities during the tax periods at issue. Id. at ¶ 6. Very interesting article about an IRS CI Agent who identified an online drug czar through unconventional methods. Highly recommended. Nathaniel Popper, The Tax Sleuth Who Took Down a Drug Lord (NYT DealBook 12/25/15), here. In United States v. Barrett, 2015 U.S. Dist. LEXIS 171727 (ED NY 2015), here, the defendant was charged with submitting false claims to the U.S., money laundering, tax perjury at the individual and corporate levels, and aiding and assisting at the corporate level. The principal locus of the non-tax offenses was the Eastern District of New York (EDNY). The defendant resided and filed his tax returns from the Southern District of New York (SDNY) and his tax return preparer did his work from SDNY. The tax omissions related to the income allegedly at the center of the nontax crimes. Asserting improper venue in EDNY, the defendant initially moved to transfer the tax counts to SDNY, and then moved to dismiss the tax counts. In this opinion, the Court rejects the venue assertions as, on the facts, premature at this stage and deals with some other issues related to the evidence and bill of particulars. I will address certain points here. is based solely on a mailing to the Internal Revenue Service, and prosecution is begun in a judicial district other than the judicial district in which the defendant resides, he may upon motion filed in the district in which the prosecution is begun, elect to be tried in the district in which he was residing at the time the alleged offense was committed. But, the provision further provides that the motion must be filed within 20 days after arraignment. That was the first problem with the motion. It was filed five months after arraignment on the initial indictment. The second problem was that venue was not based solely on mailing to the IRS as expressly required for the provision to apply. The Swiss bank client brought his case to Strasbourg after his file was handed to the US in 2012. He claimed that his right to family privacy had been broken, contravening article eight of the human rights convention. But judges threw the case out on Tuesday on the grounds that Switzerland was justified in protecting its economic interests. The US was threatening criminal action against UBS unless the data was transmitted, which could have jeopardized the future of Switzerland’s largest bank. I think most observers knew that Swiss banks and Switzerland justify anything based on their economic interests. For a long time, their economic interests were served by assisting U.S. tax evasion (as well as other country tax evasion and even more dastardly conduct). Now that is changing, so Switzerland must protect its economic interests by changing. And, Switzerland and its banks owe no recompense to those who were affected by the change dictated by their economic interests. Addendum: The foregoing is as corrected pursuant to a comment by SwissTechie. I have clarified that it was not a Swiss court who made the holding. Rather it was the European Court of Human Rights. Addendum #2: Thanks to a reader for forwarding the link to the opinion. I do not have it in English. I would appreciate receiving a copy in English or a link to a copy in English. As regards the legal basis for the measure, the Court reiterated that Agreement 09 and Protocol 10 had been negotiated and concluded by the Federal Council, approved by the Federal Parliament and then ratified by the Government in accordance with the procedure for concluding treaties set out in constitutional law. Inasmuch as the applicant submitted that the AFC’s decision of 1 September 2009 lacked any basis in law because Parliament had not yet approved Agreement 09 at the time, the Court agreed with the Government that the AFC had only taken the decision so that it could assess whether the conditions for affording cooperation had been met. At all events, the immediate implementation of Agreement 09 on a provisional basis had been confirmed by the Government at the time of its approval, and that of Protocol 10 had been confirmed by the Federal Parliament on 17 June 2010. As regards the foreseeability of the impugned measure, the Court reiterated that the European Convention of Human Rights should be interpreted in line with the general principles of international law. Indeed, under the 1969 Vienna Convention on the Law of Treaties regard should be had to “any relevant rules of international law applicable in the relations between the parties”. In the present case the Court considered relevant the Federal Court’s and the Government’s argument that Article 28 of the Vienna Convention allows the parties to an international treaty to go against the principle of non-retroactivity and provide for the consideration of acts or facts which occurred before the treaty in question entered into force. In the present case the Federal Court had settled case-law to the effect that provisions on administrative and criminal-law cooperation requiring third parties to provide specific information were procedural in nature and consequently applied, in principle, to all present or future proceedings, including those relating to tax periods predating their adoption. The applicant, assisted by a lawyer, could not reasonably have been unaware of that judicial practice. He therefore could not validly submit to the Court that the interference had occurred in a manner which he could not have foreseen. The impugned measure could therefore be regarded as being “prescribed by law”. As regards the legitimacy of the aim pursued by the measure, in the knowledge that the banking sector is an economic branch of great importance to Switzerland, the Court held that the impugned measure formed part of an all-out effort by the Swiss Government to settle the conflict between the bank UBS and the US tax authorities. The measure might validly be considered as conducive to protecting the country’s economic well-being. The Court accepted the Government’s argument that the US tax authorities’ allegations against Swiss banks were liable to jeopardise the very survival of UBS, a major player in the Swiss economy employing a large number of persons. Therefore, given Switzerland’s interest in finding an effective legal solution in cooperation with the US, it had pursued a legitimate aim within the meaning of Article 8 § 2 of the Convention. As regards whether the measure had been “necessary in a democratic society”, the Court noted that the Federal Administrative Court had ruled that the conditions set out in Article 8 for any interference with private or family life had been met in the instant case. The major economic interests at stake for the country and the Swiss interest in being able to honour its international undertakings had taken precedence over the individual interests of the persons concerned by the measure. With particular regard to the applicant’s situation, it should be noted that only his bank account details, that is to say purely financial information, had been disclosed. No private details or data closely linked to his identity, which would have deserved enhanced protection, had been transmitted. His bank details had been forwarded to the relevant US authorities so that they could use standard procedures to ascertain whether the applicant had in fact honoured his tax obligations, and if not, to take the requisite legal action. Finally, the Court observed that the applicant had benefited from various procedural safeguards. He had been able to lodge an appeal with the Federal Administrative Court against the AFC’s 7 June 2010 decision. The latter court had subsequently set aside the said decision on the grounds of violation of the applicant’s right to a hearing. The AFC had invited the applicant to transmit any comments he might have, of which right the applicant had availed himself. On 4 November 2010 the AFC had given a fresh decision finding that all the conditions had been met for affording administrative cooperation. The applicant had subsequently lodged a second appeal with the Federal Administrative Court, which dismissed it. The applicant had consequently benefited from several effective and genuine procedural guarantees to challenge the disclosure of his bank details and obtain protection against the arbitrary implementation of agreements concluded between Switzerland and the United States. It follows that there had been no violation of Article 8 of the Convention. The Court found, essentially on the same grounds as those mentioned above in support of the absence of violation of Article 8, that the applicant had not suffered discriminatory treatment for the purposes of Article 14 in conjunction with Article 8. It added that the applicant had provided no evidence to permit an assessment of whether his treatment would have been any different in another Swiss bank. Therefore, there had been no violation of Article 14 in conjunction with Article 8 of the Convention. TNT has this article: William Hoke, Human Rights Court Rejects Appeal on UBS Data Transfer to IRS, 2015 TNT 248-2 (12/28/15), no link available. It adds some background details, but I am not sure that it contributes anything that would be particularly informative to most readers of this blog. A judgment under 28 U.S.C. § 2201 declaring that the Defendants must establish willful violations of the FBAR filing requirement of 31 U.S.C. § 5314 by clear and convincing evidence when seeking to impose civil penalties under 31 U.S.C. § 5321(a)(5)(C)-(D). 21. Congress’ use of the term “willful” with respect to the civil FBAR penalty reflects a level of wrongdoing commensurate with civil fraud [which is subject to the clear and convincing standard]. Most of the rest of the complaint seems to go far beyond the requirements of "notice" pleadings required by FRCP Rule 8(a), here, and seems more directed to an audience other than the judge and the opposing party. 4. An actual controversy exists between Gubser and Defendants because: (i) the IRS has notified Gubser of a proposed civil FBAR penalty for a willful violation; (ii) an IRS Appeals Officer has indicated that, were the clear and convincing evidence standard applied, the IRS could not establish a willful violation by Gubser; (iii) the civil FBAR penalty for a non-willful violation is $10,000; and, thus, (iv) this Court’s declaration that the clear and convincing standard applies will prevent government confiscation of one-half of Gubser’s retirement savings, or approximately $1.35 million, as well as the opprobrium and other negative consequences of a finding that Gubser willfully violated U.S. law. The current posture is that the IRS has made a proposed decision now being reviewed by Appeals, but that is just a proposed decision. Even if the Appeals Officer has stated an inclination to apply the preponderance of the evidence standard in assessing the hazards of litigation (see par. 36, p. 12), that seems to just be stating at most a preliminary inclination rather than a decision on behalf of the IRS. Moreover, I am not sure how much independent authority the Appeals Officer exercises for the FBAR willful penalty; when I handled an appeal on a proposed willful penalty, the Appeals Officer clearly signaled that the ultimate authority was not his. So, I would expect that a significant "defense" to the case will be that the case is not yet ripe. And, when it does become ripe -- by assessment -- Gubser will have an adequate remedy once the decision is made and an assessment pursuant to the decision is made. I do not know that I can add anything that I have not said before. I think the ultimate legal position is the correct one. And I think the issue is an important one. That is why proper presentation and ultimate resolution of the issue is so important. As I have argued before, the two cases to date are of limited authority, if any, so the issue should still reasonably be in play when presented and properly litigated in a proper venue. I am just not sure that the current action presents a proper venue for litigating the issue. ABA Tax Lawyer Publication Comment on FBAR Willful Penalty (Federal Tax Crimes Blog 2/16/15), here. More on Recklessness as Cheek Willfulness (Including for FBAR Civil Penalty) or Willful Blindness (Federal Tax Crimes Blog 7/22/14), here. Willful Blindness / Conscious Avoidance and Crimes Requiring Intent to Violate a Known Legal Duty (Federal Tax Crimes Blog 7/21/14), here. 11th Circuit Holds Clear and Convincing Evidence Required for Section 6701 Penalty; Can Reasoning be Extended to FBAR Willful Penalty? 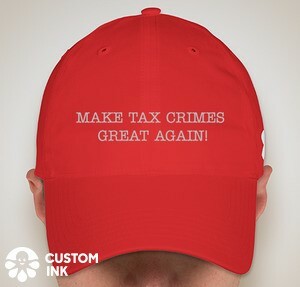 (Federal Tax Crimes Blog 6/14/14), here. McBride #2 - Proof of Willfulness (Federal Tax Crimes Blog 11/13/12), here. McBride #1 - Court Holds Government Must Prove FBAR Willful Penalty by a Preponderance (Federal Tax Crimes Blog 11/11/12), here. Fourth Circuit Reverses Williams on Willfulness (Federal Tax Crimes Blog 7/20/12; revised 7/24/12), here. Burden of Proof for Willfulness in FBAR Violations (Federal Tax Crimes Blog 9/6/11), here. What does a party in a civil case do when, in discovery or at trial, the party asserts that party's Fifth Amendment privilege? The purpose of the Fifth Amendment is to limit the ability of the opponent or the court to get to potentially relevant information. After all, the civil litigation system counts on open discovery to serve the legitimate goal of making sure that all the truth relevant to determining and deciding the truth comes out. But, the Fifth Amendment privilege serves a valuable purpose also of permitting a person from having to provide incriminating testimony that can be used in a criminal proceeding. There are a host of issues raised by the circumstances. If the party asserting the Fifth Amendment privilege in civil litigation is the proponent in the civil litigation (often call a plaintiff or petitioner), can the party continue to press the civil claims when he denies the opposing party the ability to discover or test the truth of the claims? If so, should there be any consequence to the asserting party when denying the opposing party the benefit of discovery? If the party asserting the privilege is a defendant and thus not the party instigating the litigation, are there different considerations that should apply? There are many more questions both when a party asserts the privilege and when a nonparty witness asserts the privilege. A recent case from the Tenth Circuit dealt with this issue where a party asserted the privilege in a Tax Court deficiency redetermination proceeding. In Feinberg v. Commissioner, ___ F.3d ___, 2015 U.S. App. LEXIS 22161 (10th Cir. 2015), here, the taxpayers were in the marijuana sales business in Colorado where marijuana distribution is legal in the state but remains illegal under federal law. See 21 USC § 841, here. The IRS denied their related business deductions " on the ground that their conduct violates federal criminal drug laws. See 26 U.S.C. § 280E [here]." In reality, as developed in the case, as a matter of prosecutorial discretion, DOJ does not prosecute persons such as the taxpayers for violating § 841. As the Tenth Circuit said, this tension results in a phenomenon that "today prosecutors will almost always overlook federal marijuana distribution crimes in Colorado but the tax man never will." It's here where the parties' fight took an especially curious turn. The IRS responded to the petitioners' invocation of the Fifth Amendment by filing with the tax court a motion to compel production of the discovery it sought. Why the agency bothered isn't exactly clear. In tax court, after all, it's the petitioners who carry the burden of showing the IRS erred in denying their deductions — and by invoking the privilege and refusing to produce the materials that might support their deductions the petitioners no doubt made their task just that much harder. See Tax Ct. R. 142(a)(1). And harder still because in civil matters an invocation of the Fifth Amendment may sometimes lawfully result in an inference that what you refuse to produce isn't favorable to your cause. See, e.g., Baxter v. Palmigiano, 425 U.S. 308, 318 (1976). Still, the IRS chose to pursue a motion to compel. And in support of its motion the agency advanced this line of reasoning. Yes, of course, the IRS said, it thinks THC's deductions are impermissible precisely because they arise from activity proscribed by federal criminal statutes. Yes, the Fifth Amendment normally shields individuals from having to admit to criminal activity. But, the IRS argued, because DOJ's memoranda generally instruct federal prosecutors not to prosecute cases like this one the petitioners should be forced to divulge the requested information anyway. So it is the government simultaneously urged the court to take seriously its claim that the petitioners are violating federal criminal law and to discount the possibility that it would enforce federal criminal law. On December 18, 2015, Edmond de Rothschild (Suisse) SA and Edmond de Rothschild (Lugano) SA (collectively EdR Switzerland) reached a joint resolution and entered NPAs under the DOJ program for Swiss banks, here. The joint penalties are $45.245 million. For one account, a U.S. taxpayer-client refused to provide a copy of his passport, despite repeated requests from Bordier, and in 1998, this client signed bank forms with a fake signature to avoid potential recognition. This accountholder eventually told Bordier that he did not want to declare the account in the United States because he was a lawyer and would be disbarred. In a limited number of instances, Bordier actively facilitated the evasion of U.S. taxes and reporting requirements for some of its U.S. accountholders. For example, Bordier made repeated transfers of undeclared assets under $10,000 to the Montreal bank account of a U.S. taxpayer-client in Canada in order to help the client avoid U.S. tax and reporting obligations and keep the undeclared assets hidden. For one such transfer, the U.S. taxpayer-client requested his “usual order of chocolate” from Bordier in order to institute these transfers. Bordier was aware that the U.S. taxpayer-client withdrew the amounts in cash: “Telephone [call from U.S. taxpayer-client]. Please transfer US$8,000 to Montreal as usual. He will pick up the cash. . . .” In 2002, according to file notes made by the former relationship manager, Bordier transmitted undeclared assets to a U.S. taxpayer-client in a hidden manner (“sous forme cache” in French). Bordier’s conduct allowed the bank to increase the undeclared U.S. taxpayer assets that it managed, thereby increasing the fees it generated. PostFinance has never offered private banking or wealth management services to any of its customers. Instead, PostFinance engaged in basic consumer retail banking and payment services. U.S. taxpayers resident in Switzerland, as well as U.S.-Swiss dual nationals, may obtain “current” accounts, which are comparable to checking accounts in the United States. Savings accounts, fixed income retirement accounts and credit cards may be obtained only by Swiss residents. PostFinance was aware that citizens and resident aliens of the United States had a legal duty to report their assets and income to the IRS and to pay taxes on the basis of all their income, including income earned from accounts that PostFinance maintained on their behalf. Largely due to its obligations under Swiss law, however, PostFinance nevertheless opened and maintained undeclared accounts belonging to customers who were subject to U.S. tax and were not complying with their U.S. tax obligations.